Tissue excess is the result of 2 specific types of scarring, i.e. Keloids and hypertrophic scars. These scars can occur after any type of injury, like or cut or surgery, or inflammatory process, like a pimple. Certain people are genetically prone to this type of scarring. The difference between a keloid and hypertrophic scar is that a keloid extends beyond the boundaries of the original area of injury or inflammation. When you close your eyes and run your fingers over the area, the fingers will be lifted up by the scar. Keloids and hypertrophic scars are often treated with 5-FU injections, steroid injections and the pulse dye laser. Tissue loss or thinning can present as stretch marks, smooth indentations, ice pick scars, so-called box scars and rolling scars. Post acne scarring is a common cause of this type or scarring. When you close your eyes and run your fingers over the area, the fingers will dip down into the scar. Tissue loss or thinning has a vast array of treatment options. 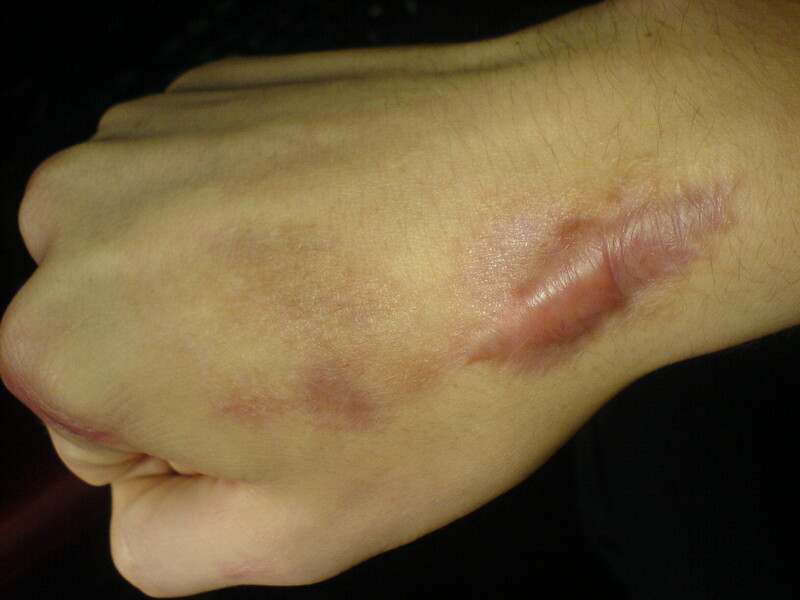 The specific treatment depends on the depth of the scar. Surface change is not true scarring, because the dermis is not involved, but surface changes are still commonly referred to as scars. Surface changes presents as white spots (loss of pigment), brown spots (excess pigment) and red spots due to visible blood vessels, blood vessel dilation or loss if pigment over an area with lots of blood vessels. When you close your eyes and run your fingers over the area, no contour change is palpable. Brown spots are often treated with certain creams and pigment targeting lasers. Red spots are treated with lasers that target blood vessels. White spots are very difficult to treat. Retinoid creams, light therapy, gentle cryotherapy. melanocyte transplants and even surgical options can be tried. Hello. Do you use the patients own plasma for the PRP dermapen treatments? Yes. The PRP is prepared from your own plasma on the day of treatment. I have a six month old who was born with a strawberry birthmark on his left arm . What are my options should I have it removed? He also has light brown spots on top and at the back of his head. These usually resolve themselves within 2 years. How much would it cost to treat a keloid arising form surgery? Does the treatment ensure that keloids don’t grow back? The cost is dependant on the type of treatment/procedure performed. You will most likely require numerous treatments to achieve desired and permanent results.